Sydney’s premium glass boat, Clearview, is the ideal venue to witness amazing creative light and art displays showcased by the creative artists of the crowd-pulling Vivid Sydney. Get amazing views to stunning Vivid Light displays on board a Vivid Sydney dinner cruise! The cutting-edge nautical design of the amazing glass boat depicts the premium look it dons. The unique identity of this mesmerizing cruise is one of the reasons why it tops the list of best cruises in Sydney.The cruise takes you on a perfectly staggering route made up exclusively for the passengers to marvel at the spellbinding artworks displayed in and around Sydney Harbour! Vivid Sydney is split into three categories: Light, Music and Ideas. 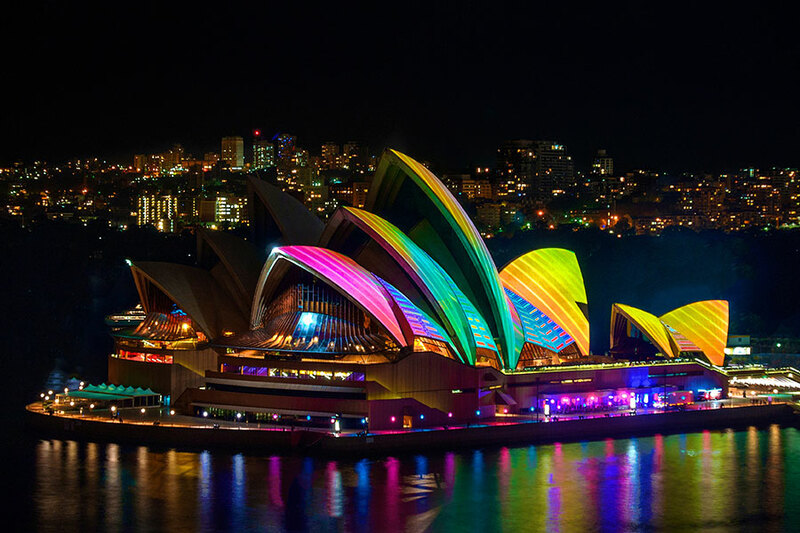 The 11th edition of Vivid Sydney is ready to amaze crowds with its flashy displays of light, attractive musical collaborations and discussions on contemporary ideas that change the industry. The program spans over light art sculptures & large scale projections, Musical performances from international and local artists, and talks and discussions on innovational and imaginational topics. As the streets of Sydney get too crowded during the days of Vivid, the best vantage points rare often “booked” or unavailable altogether. Therefore it is best to go on a Vivid Dinner cruise to stay away from the crowds and enjoy the installations from a distance, while enjoying a delicious meal and your favourite beverage. With spacious entertainment areas, there is enough room for everyone to have an excellent cruising experience. As this glass boat does not entertain the usual business formula of filling passengers to the brim, as a result, there is a perfect balance of tranquility and opulence which will ensure the passengers with one of the best cruising experience and uninterrupted views of the illuminated spectacles of Vivid Sydney. The glass-paned boat of luxury with a spacious dining saloon, a semi-open Sky Deck, a mezzanine cocktail lounge is also famous for its delectable food menu and premium beverages. Get roving views of Sydney Harbour on this Vivid Sydney cruise as you enjoy the best views to light installations across Sydney Harbour! As the sun sheds its last array of golden hues on Sydney Harbour, the luminescence pattern projected on the famous Opera House comes to life. Ogle at the assortment of lustre scenes rolling over the eminent edifices around the harbour. 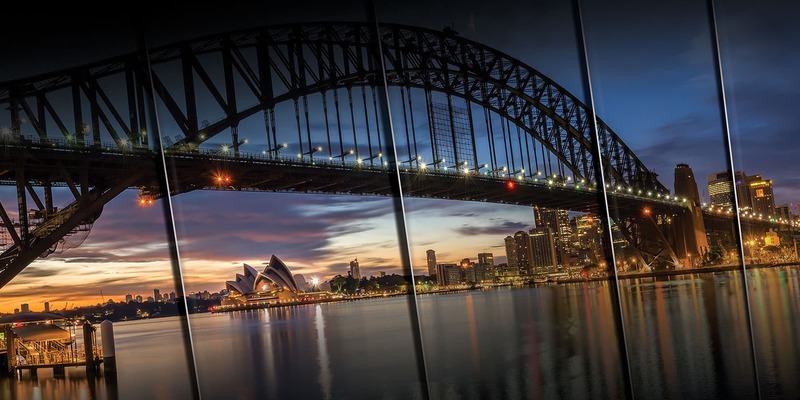 Get best views of Sydney Harbour as it bursts to life in the evening and enjoy first row views of all attractions! Be away from the crowd and enjoy the sights at its best! Besides the cruises, there are a number of ways to take in the perfect essence of the wonderful festivities that occur in various parts of the emerald city. Enjoy each and every event of prolific creativity displayed during the famous Vivid Sydney Festival. So, think before you choose your perfect plan to cherish this splendid event of music, light and ideas.